The commercial success of Baahubali: The Beginning is well known amongst movie lovers. It was praised for the special effects so much and is one of the highest grossing movies. It encouraged S. S. Rajamauli to go ahead and come up with the sequel of the movie. Also the famous question “Why Kattappa killed Baahubali?” got so much famous that it is quoted even in almost all major events. This lead S. S. Rajamauli think about making a franchisee of Baahubali. He also thought that it is not possible to have everything in terms of film(s). And he also thought to take advantage of the imagination of well known author Anand Neelakantan. S. S. Rajamauli was impressed with the writing of Anand Neelakantan’s first book he read and considered him as the right choice to develop Baahubali franchisee. 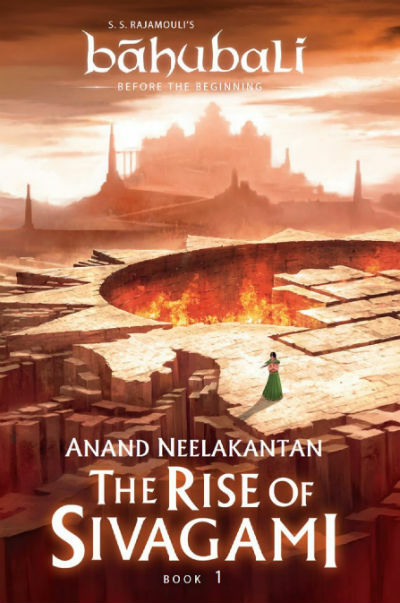 And, Anand comes with the first book in the series, The Rise of Sivagami: Book 1 of Baahubali – Before the Beginning. As the name suggests, it is the prequel of the film. The book was released on 15th April 2017 and it got overwhelming response from the readers so far. We have found that the first 2 chapters are available for reading for free to Kindle users. Here we present our personal views and reviews for the free content available from the book. Definitely, the first two chapters cannot give us the full idea of the content to expect in the book. And, they should not, otherwise, what is the need of reading entire book. It however definitely gives us the idea about various attributes of the book, like, the writing style of the book and how the events are explored. Anand is a celebrated author, and his command over the language is well known now. The success of his two previous books Asura: The Tale Of The Vanquished (Ramayana from Ravana’s perspective) and Ajaya (two parts – Mahabharata from Duryodhana’s perspective). He seems to be in full form here. I can’t see my own fingers how will I jump? If you can’t see anything, you will be less scared, it is just seven feet. Witty, and intelligent right? Also the character of Sivagami is started building in the first chapter. And she appears to be woman of strong character and will. She is young and beautiful too. The second chapter talks about Kattappa. It explores the way the royals used to treat the slaves. The bane of slavery is portrayed effectively. With the incidents of hunting party we got to know more about it. And at the end of the chapter you will started hating slavery; that is the achievement of Anand as an author. Slaves don’t have any age, or names, for that matter. They are bound to obey what we say. And the ruler approves the ill treatment of the slaves! Maharaja Somadeva’s face was cast in stone and he was deaf to the cries of Prince Mahadeva. In addition, the glossary mentioned in the sample content proves to be informative. So from the content we have explored so far, it seems to prove an interesting read. We recommend you to download and read the sample content which is free. You can then decide whether it is your cup of tea or not. We have finished reading the whole book (paperback version) and have published our unbiased reviews here. Are you curious to read this book? What are the other books of Anand Neelakantan you did already read? Have you already pre-ordered/ordered this book, and read this free chapter? You are invited to share your thoughts via comments below.